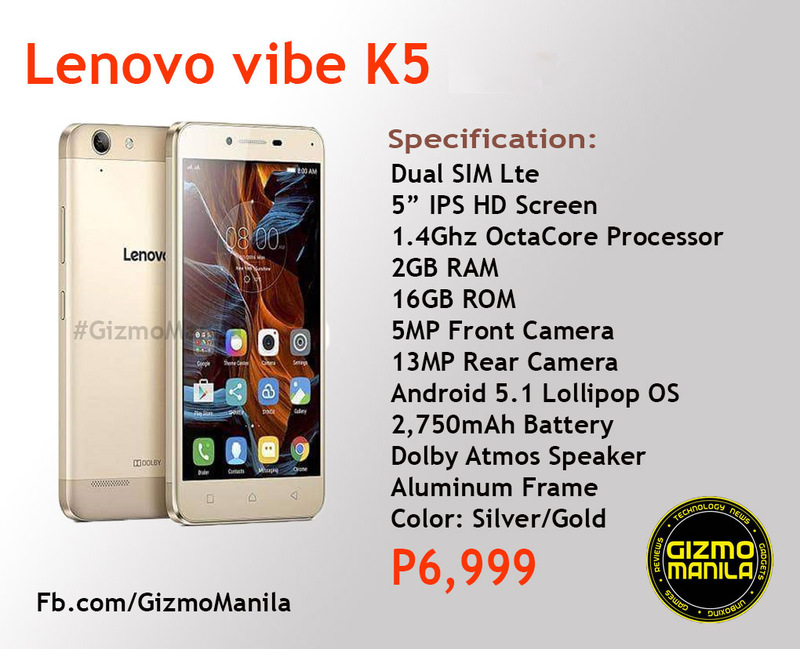 Lenovo PH officially announce the new Lenovo Vibe K5 series in the Philippines. 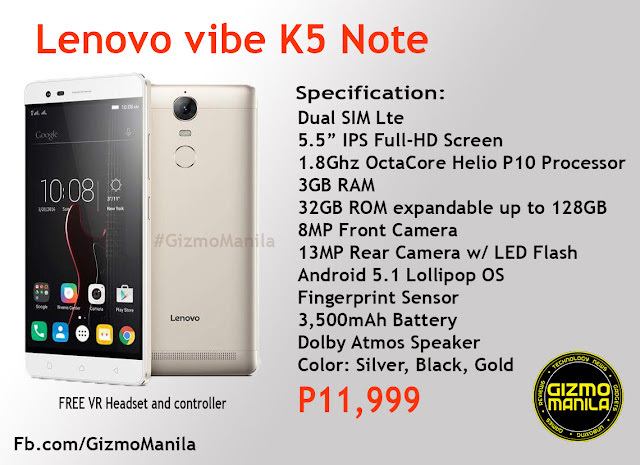 After the successful launching of the Lenovo Vibe K4 Note and X2 last May in SM North Edsa. 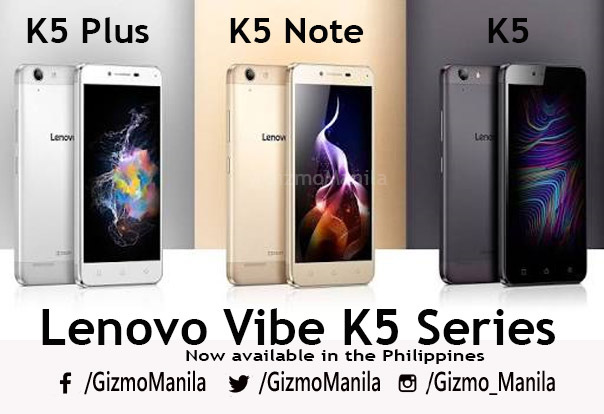 Unveiling the 3 new smartphone in the country today, the Lenovo Vibe K5, K5 Plus and K5 note. Lenovo K5 is the newest entry level smartphone of Lenovo at P6,999. Powered by Snapdragon 414 OctaCore Processor and has 2GB RAM and 16GB of Internal storage. While the lenovo K5 Plus is Powered by Snapdragon 616 CPU and also has 2GB RAM and 16GB Internal storage. Both K5 and K5 Plus has 5-inch IPS Screen and 2,750mah battery, the difference between the 2 is the display. K5 at HD and has non-removable battery while K5 Plus at Full HD and can remove the battery. 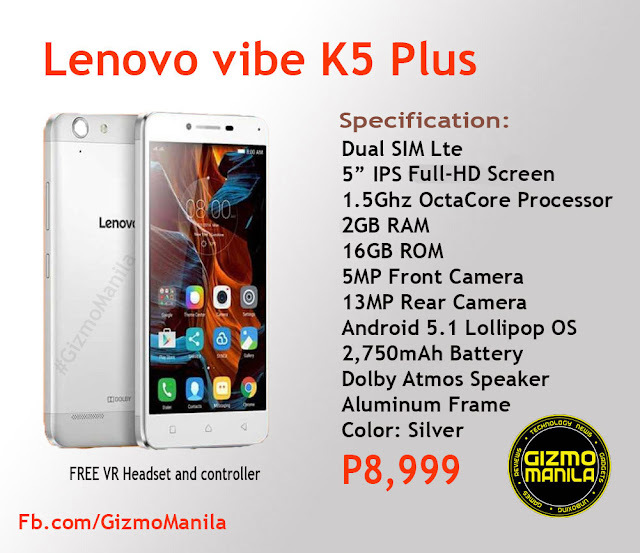 The K5 Plus features Lenovo TheaterMax which enhance the viewing experience on VR Headset. Lenovo Vibe K5 Plus is available at P8,999. The Lenovo K5 Note is newest Mid-end smartphone which has the 5.5” Full HD Screen, powered by Mediatek Helio P10 Octacore Processor, 3GB RAM, 32GB Internal Storage can be expand up to 128GB via microSD. It also has TheaterMax technology same as the Vibe X2, Vibe K4 Note and K5 Plus. It also features fingerprint sensor for unlocking smartphone. K5 Note is available t P11,999. Lenovo theaterMax now features a remote control that can enhance your viewing and gaming experience. The ANTVR Headset and Remote is bundle to Vibe K5 Note and Vibe K5 Plus smartphones for FREE. The VR remote is also compatible to Vibe K4 Note and Vibe X2, can be avail at Lenovo Concept Store and Kiosk nationwide at P (TBA). For more tech news follow us at Fb.com/GizmoManila. Twitter.com/GizmoManila and Instagram.com/Gizmo_Manila. *Credit to Gizguide.com and pinoyscreencast.com for the information. Thank you for provide a nice blog. Every word of this blog helps me to give details about Gifts.